Set up Python with serial ports — both physical and virtual — to enable your next project! Python is a useful language thanks to its simplicity, functionality, and platform-independent nature. In this article, we will look at how to use Python with serial ports so you can use it to interact with microcontrollers and other serial-port-enabled devices (including those using virtual ports). With PySerial included in our project, it’s time to open the Python IDLE and create our serial port project! In addition to defining the parameters shown above, the serial module needs to be imported. The code extract below shows how to import the serial module and configure the UART port to use COM3 at 115200 baud with no parity, one stop bit, and a timeout of two seconds. It’s easy to find the COM port your USB-to-serial device is located in when using device manager. 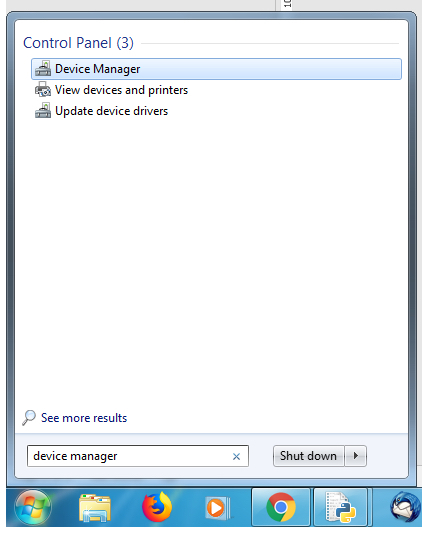 Open the start menu and type “Device Manager”. When device manager loads, look for the section called “ports” and expand it. Most Windows machines have a COM1 port by default that is used for internal communication, so don’t use that COM port. Assuming that you only have one COM device connected, the second COM port will be your microcontroller. In our simple program, we first open the serial port defined previously. It is imperative that the open() function is called, because it allows our program to “claim” the port and prevent any other processes from accessing it. A port also cannot be accessed if it has not been opened. # Tell the device connected over the serial port that we recevied the data! # The b at the beginning is used to indicate bytes! To test our Python serial port program, we will be using a very tiny PIC chip, the PIC16F1825, which will be coded using XC8. This chip has a UART port which means we can connect it directly to a USB-to-serial converter (such as the FTDI 232R). Luckily for us, the FTDI module used here provides power from the USB port so we do not require any power circuitry (easier to construct). The configuration bits will not be covered in depth, but they ensure that the PIC is NOT using the PLL, but is using the internal oscillator module as its clock source. 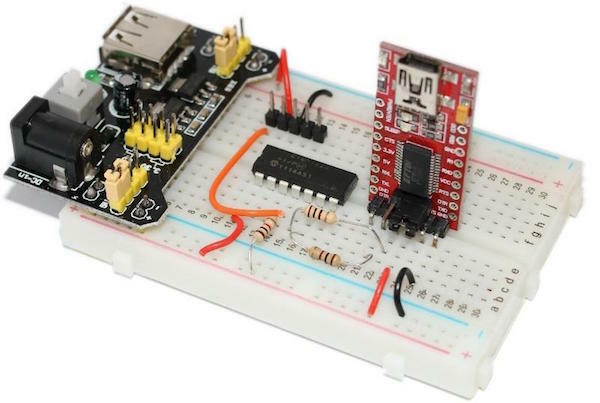 The main function is where the PIC does three things: configures the device to use a clock frequency of 8MHz (for the UART Module), configures the UART peripheral; and then sends/receives strings over the UART port. The actual functions that read and write strings have been defined in functions, which make it easier to use the UART port in the main code, but we won’t cover the explanation of this code. If all goes to plan, when the Python program runs and the PIC device is turned on, we should see something similar to the window shown below. 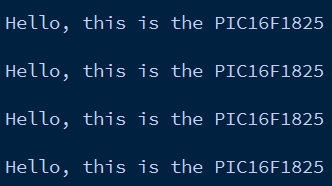 If so, then our PIC program and Python program are communicating perfectly with each other. While this example is very simple, it shows that Python can easily be integrated into microcontroller projects, including PIC, AVR, STM, Arduino, and even Raspberry Pi!